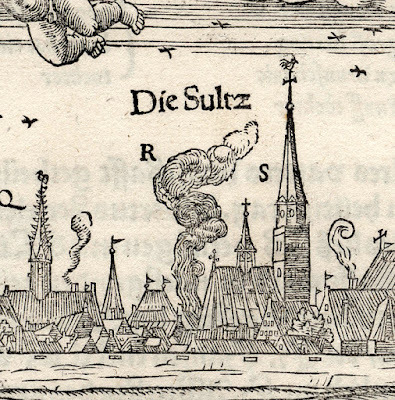 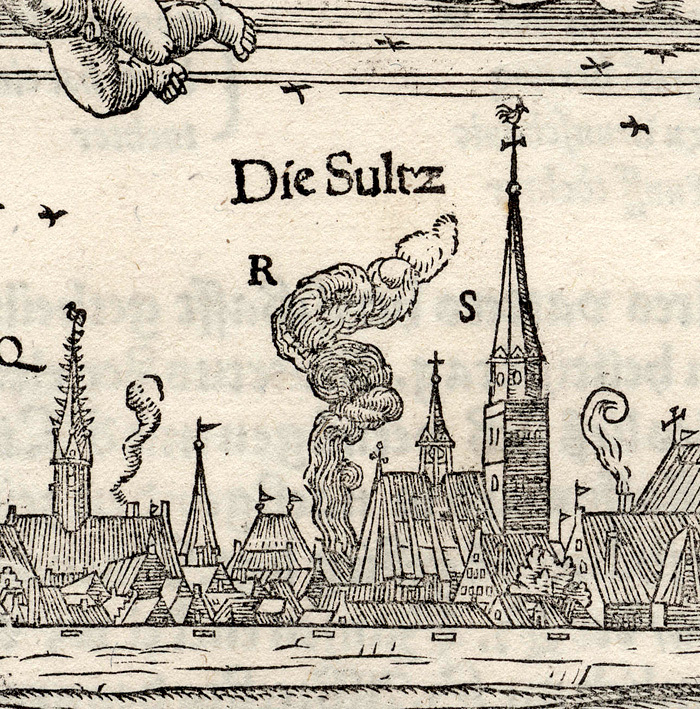 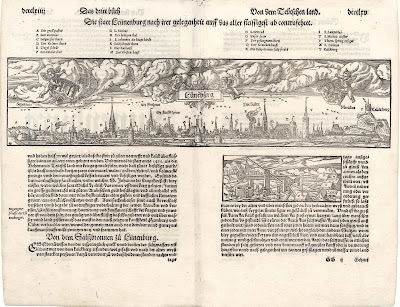 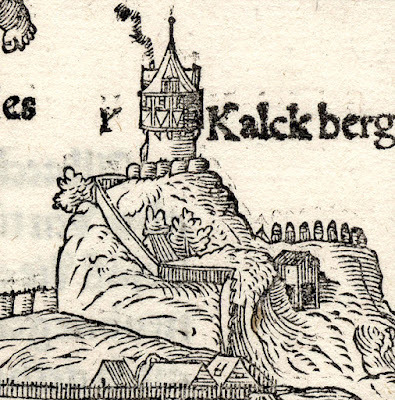 “View of Lüneburg”, 1550, from Sebastian Munster's “Cosmographey oder beschreibung aller Länder”, published by Heinrich Petri in Basel, 1552, designed by David Kandel (1520/25–-1592/96), cut by Monogrammist CS (fl.c. 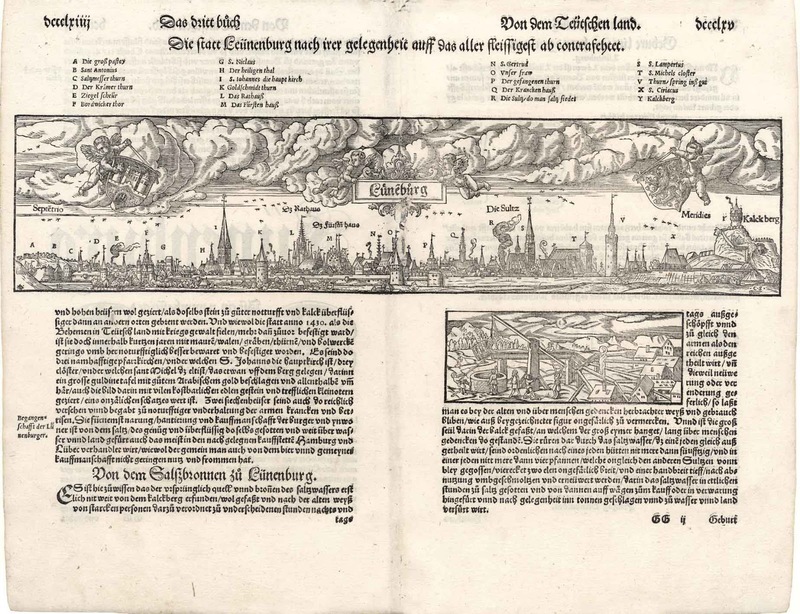 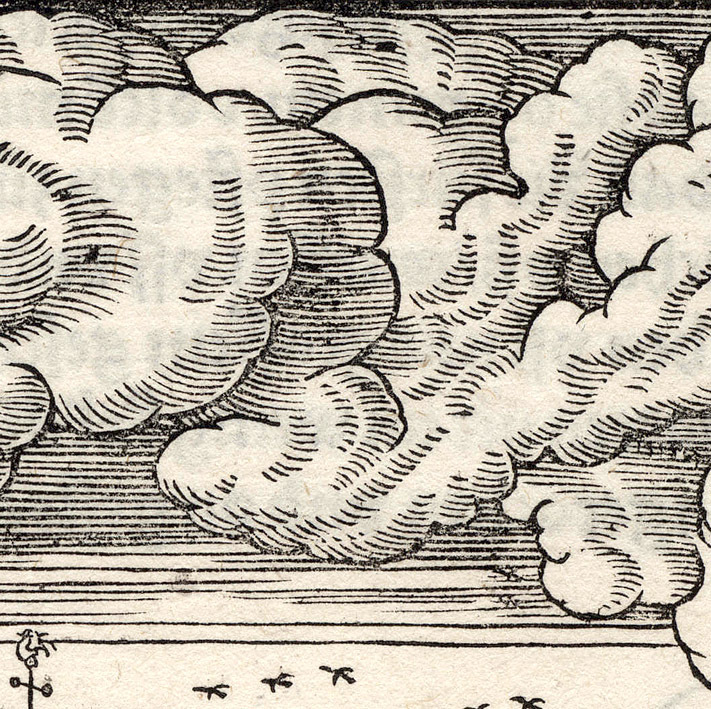 1540–60) and printed by Heinrich Petri (1527–77; fl. 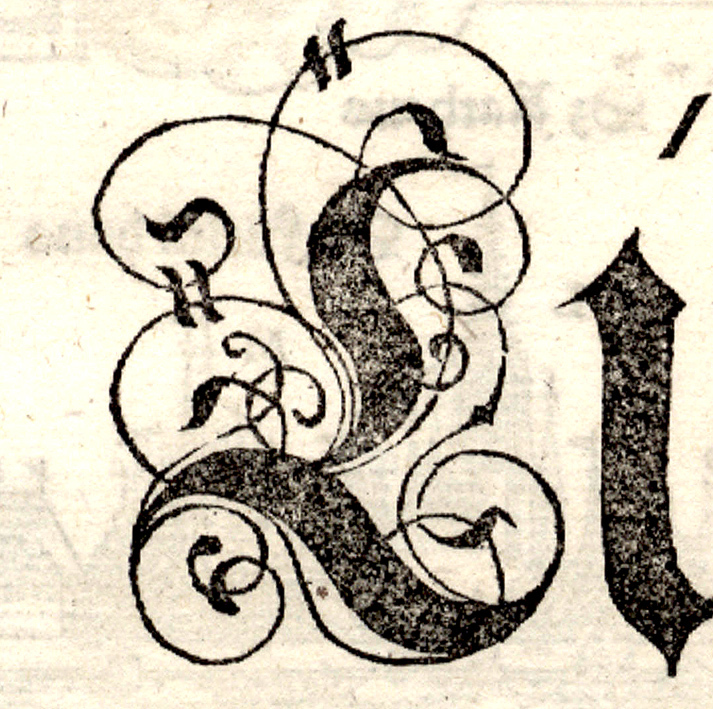 c.). 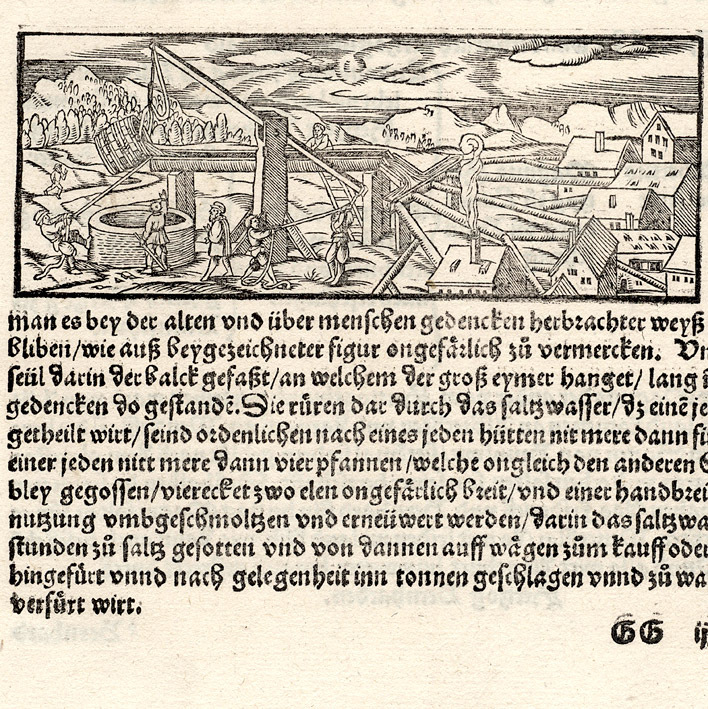 Woodcut and letterpress on full double-sided sheet as published. Signed with Kandel's monogram (lower left) and with monogram “CS” (lower righ)t.
Lettered throughout with location names and letters corresponding to the legend above. 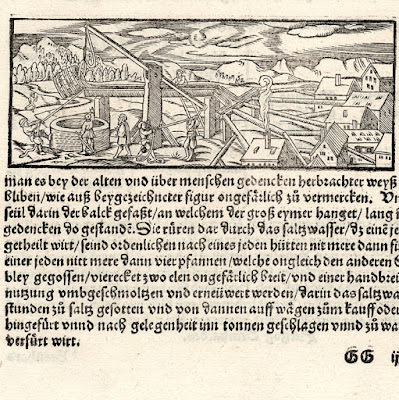 Letterpress title above the woodcut: “De Germania Liber III. 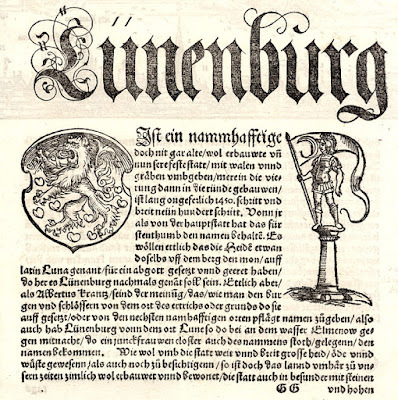 / Civitas Lunaeburgensis, quam verius hoc tempore Salinaeburgensem appellare posses.” Pages numbered 730 and 731. 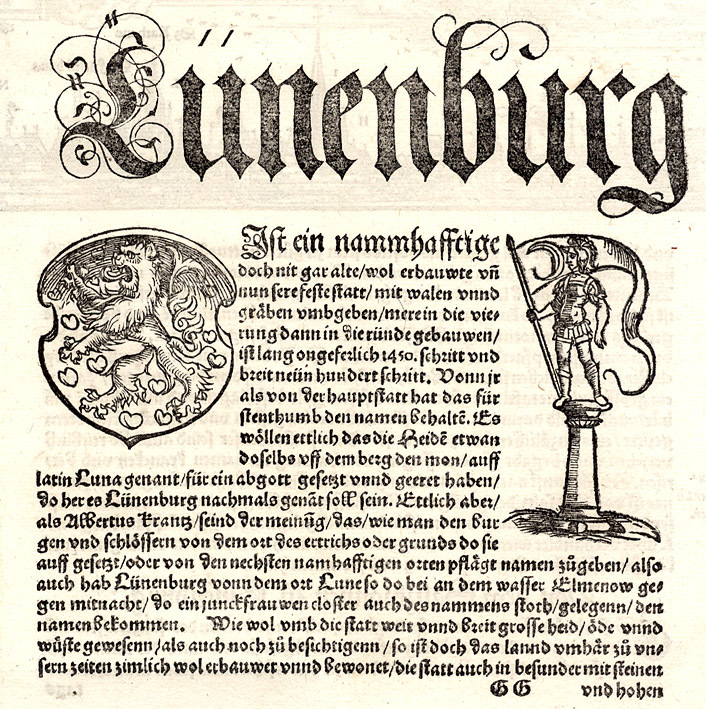 Below a letterpress genealogy of the dukes of Lüneburg. 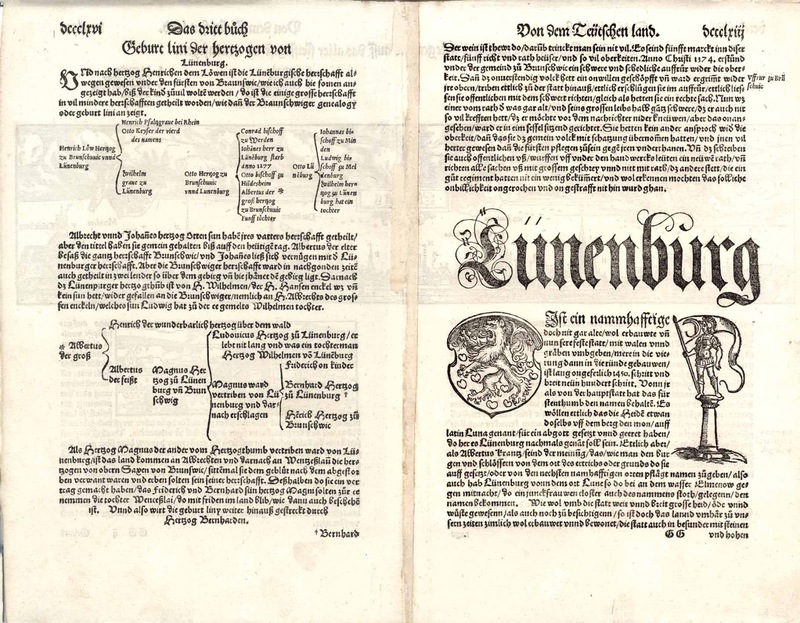 Condition: very well printed with very little wear to the printing block suggesting that this is an early printing. 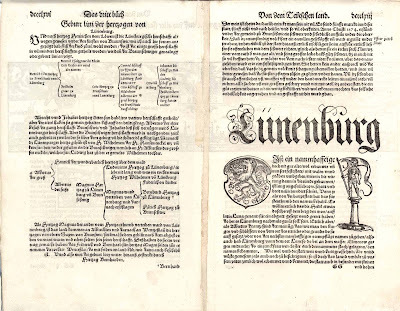 The sheet is in an extremely rare near pristine condition with virtually no faults beyond the usual indelicate joining of the two pages (verso). 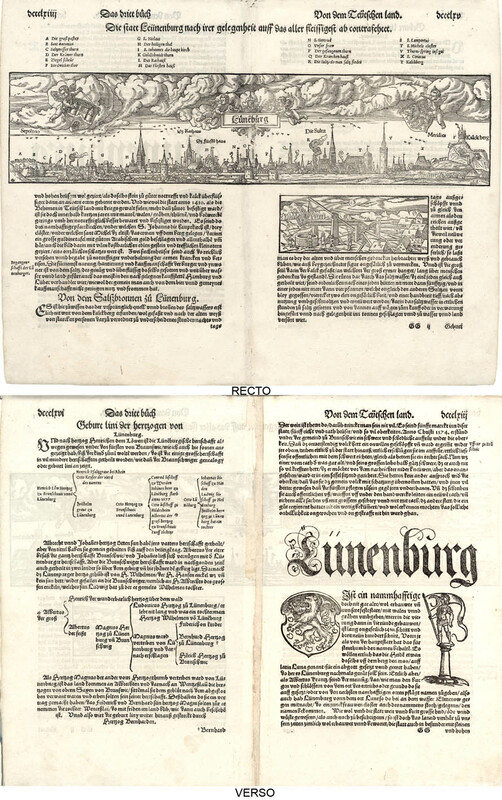 I am selling this rare woodcut print in superb condition from the 16th century for a total cost of AU$149 (currently US$111.74/EUR100.38/GBP84.17 the time of this listing) including postage and handling to anywhere in the world. 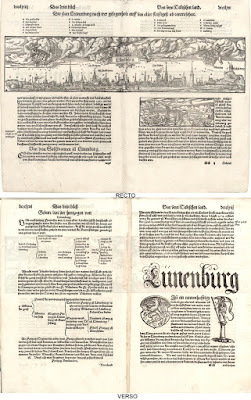 If you are interested in purchasing this historically significant early woodcut sheet, please contact me (oz_jim@printsandprinciples.com) and I will send you a PayPal invoice to make the payment easy.